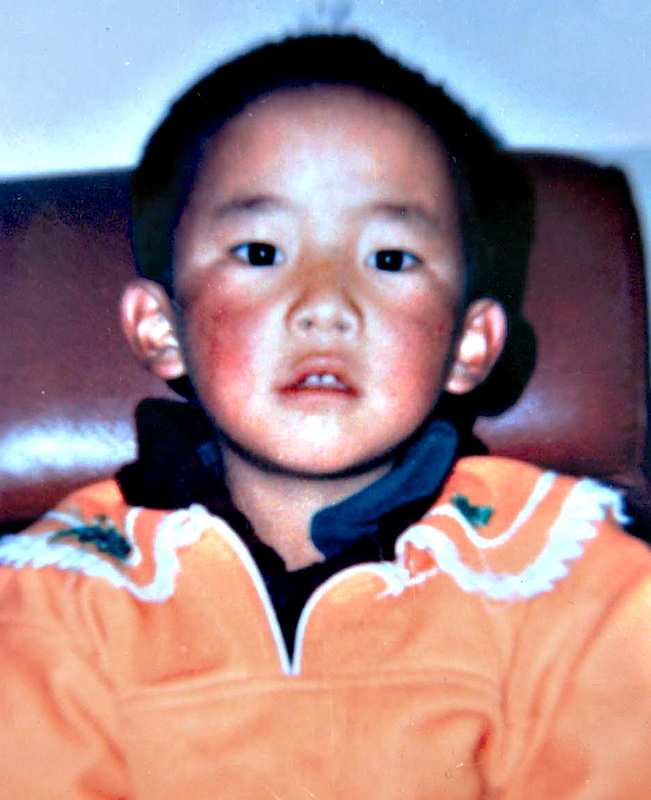 It has been 19 years since the abduction of the 11th Panchen Lama Gendun Choekyi Nyima. On 17th May, 1995, 6 year old Gendun Choekyi Nyima was imprisoned for no crime and for purely political reasons. Then he was the world youngest political prisoner. There isn’t a bit of news about the wellbeing of 11th Panchen Lama since the former secretary of the Communist Party of China committee of the Tibet Autonomous Region Zhang Qingli’s brief statement on him. Zhang Qingli said Gendhun Choekyi Nyima is doing well. 17th May, 2014 marks 19 years of disppearance of Gendun Choekyi Nyima, his family and caretaker. Many international media and his faithful followers doubt his survival and start debating on “what we have to do if 11th Panchen Gendun Choekyi Nyima is no more alive?” This enforced disappearance of Panchen Lama for 19 years saddened hearts of all his followers. We the Tibetan Women’s Association encompassed of 17,000 members across the globe call on the Chinese leadership and the secretary of Tibet Autonomous Region Chen Quanguo to disclose the wehereabouts of the 25-year old Panchen Lama of Tibet. We demand to declare Gendun Choekyi Nyima’s status by 25th April, 2015. On 12th November, 2013, China was re-elected in the United Nations Human Rights Council and this election brings obligation to China to improve the human right situation in both China and Tibet. We remind China to implement its pledges to imporve the human rights situation inside Tibet. Chinese government.) The 11th Panchen Lama Gendun Choeyi Nyima was born on April 25, 1989 at Lhari Zong of Nagchu District in Tibet, and was recognized as the 11th Panchen Lama by His Holiness the Dalai Lama. He is the son of Kunchok Phuntsok and Dechen Choedon. On 15th day of third month of Tibetan wood pig year (14th May, 1995) Gendun Choekyi Nyima was annouced as the 11th Panchen Lama, at that time he was only six years old and now he is 25. Chinese government’s abduction Gendun Choekyi Nyima for many years has not lessened the faith and belief of Tibetan people in him. We demand to disclose whereabouts and wellbeing of Gendun Choekyi Nyima. Central Executive Committee of Tibetan Women Association.